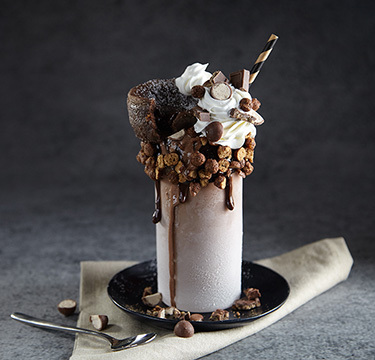 Chocolate brownie ice cream blended with malted milk balls, crispy chocolate bars and a ribbon of thick fudge, all topped with a mountain of puffed cocoa cereal and a warm, gooey molten lava chocolate volcano cake. 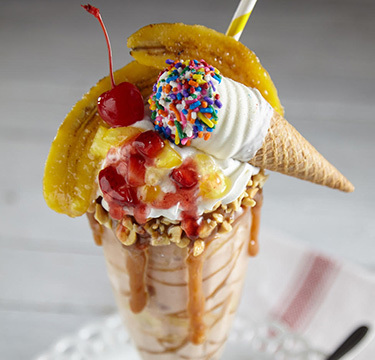 Place ice cream, malted milk balls, crispy chocolate bars, chocolate fudge sauce, and whole milk into blender; blend until smooth. Rim 16 oz. 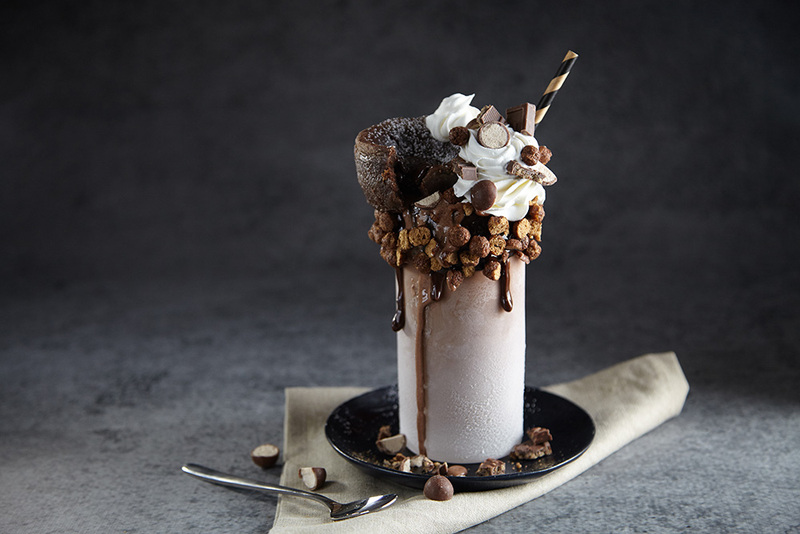 pint glass with chocolate fudge and cocoa puffs; pour milkshake into cup. Top with whipped cream and warm molten lava chocolate volcano cake. Butter six, 4-ounce ramekins and dust with flour; set aside. In top of a double boiler, melt butter and chocolate. Remove chocolate/butter from heat and whisk-in the sugar, whole eggs, and egg yolks; whisk flour into mixture. Pour mixture into ramekins and bake for 10 minutes, or until the sides of cakes are set but the center is still slightly loose. Allow cakes to cool for 1 minute, then run a thin knife around sides and invert ramekins into glasses. 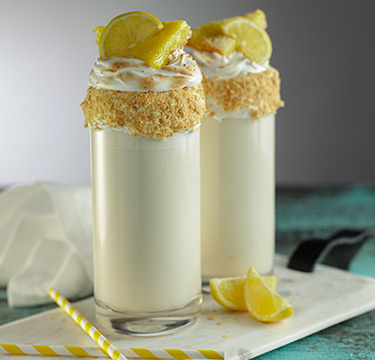 For extra flair, additional crispy chocolate bars, malted milk balls and puffed cocoa cereal can be added to the garnish.